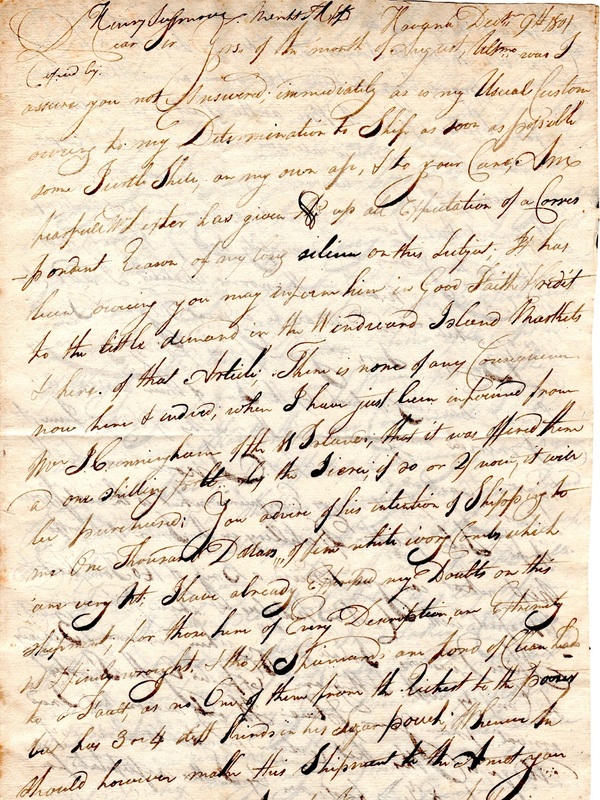 This is an orignal document, dated 1760, Hempstead, Long Island; where Samuel Seabury has purchase a slave named Hector, about 37 years old, from John Birdsall. Signed at bottom by Samuel Seabury, John Lose and Oliver Seabury.Document is 8x12, folds, age toning, else in overall fine shape. Rev. 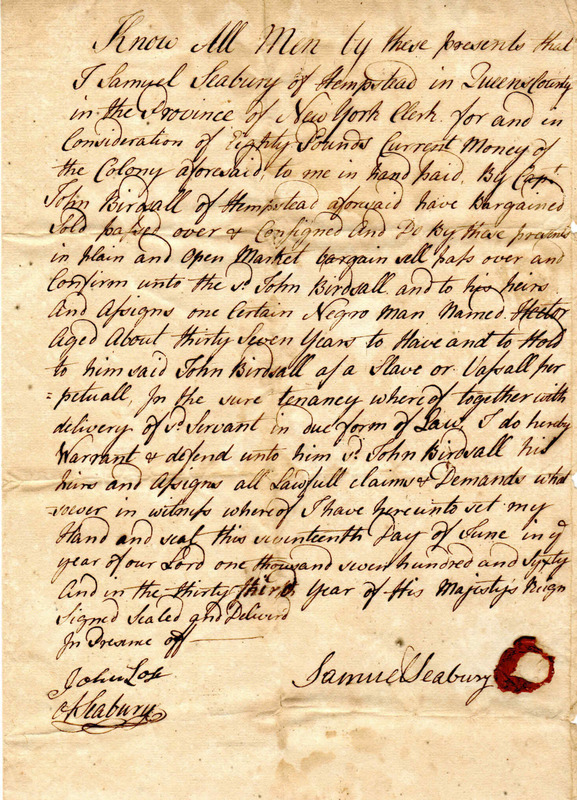 Samuel Seabury, son of Deacon John and Elizabeth (Alden) Seabury, was born at Groton, Connecticut, July 8, 1706. died at Hempstead, June 15, 1764. He received his education partly at Yale College and partly at Harvard, whence he graduated in 1724, receiving later the degree of M. A. from Yale. He was for a few years a Congregational minister, serving in Maine and in Connecticut, but conforming to the Church of England, received Episcopal ordination in I730 in London, England, from the bishop of that see. Returning to this country as a missionary of the English Society for Propagating the Gospel. he was one of the founders and the first rector of the Church of St. James, in New London. Connecticut. which position he held up to the time of his being made rector of St. George's Church, Hempstead, in 1742. During his residence in New London, and later in Hempstead, he was assiduous in missionary work in surrounding places, and thus became the founder of several additional parishes, both in Connecticut and in New York. He served regularly while living in Hempstead two other parishes at distances involving a forty—mile ride on horseback for the services held in a day. He went also on invitation into Dutchess county, where he held the first church of England services, and organized Trinity Church, Fishkill, New York. He was a man of extraordinary energy and faithfulness, and added to his pastoral labors by the practice of medicine and the teaching of a school which he kept in his own house. His only publications were a sermon, preached in England, and a pamphlet written in defense of attacks made upon him for encroaching upon the neighborhood of ministers not of the Church of England. 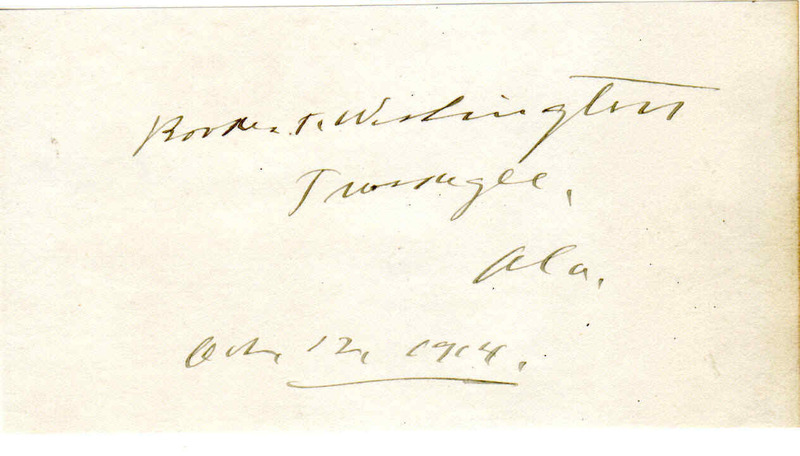 This is a wonderful, orginal autograph, by Booker T. Washington, Tuskeegee, Alabama. Autographed cut is 3x4, overall fine shape. 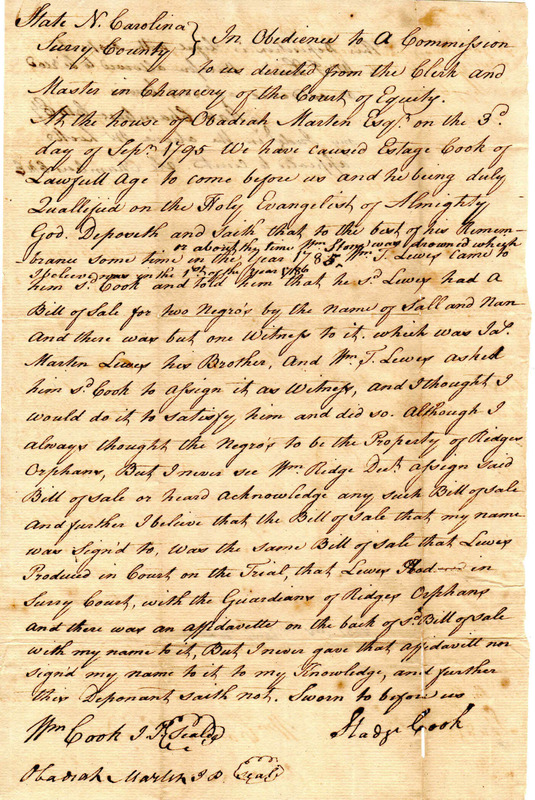 This item is a wonderful, original document dated 1794, where Thomas Ridge has sworn a statement, that in 1780, when William Ridge left for the service in the Cherokee Expedition, his wife gave away slaves to keep them away from the committee or others, one being given ,Sall, to keep Godfrey Ridge out of the war. Other bills of sale were given based on rightful ownership. 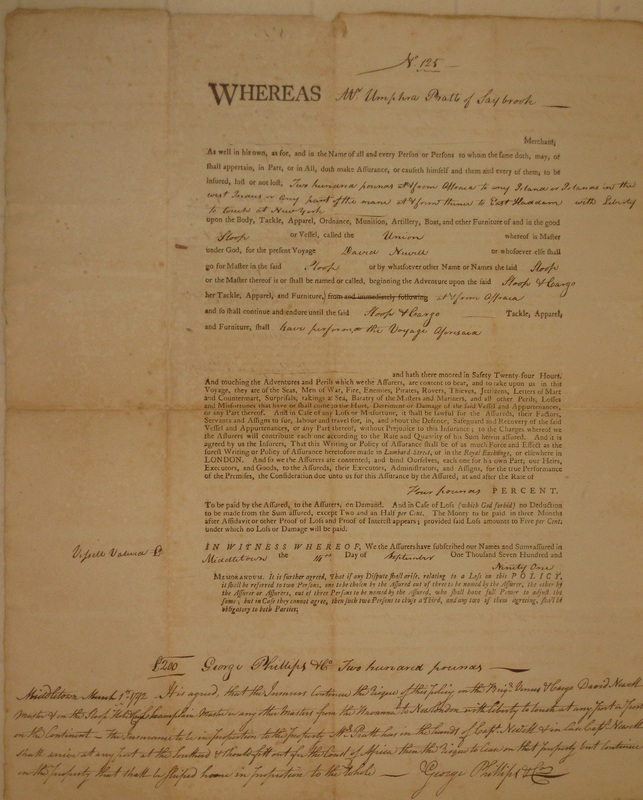 ﻿...signed by Thomas Ridge, John Birch and Obadiah Martin. William Ridge married Winnefred Combs, daughter of Mason Combs, Sr of Surry County, North Carolina. William died at the battle of The Hanging Rock, South Carolina, in the Loyalist Militia in 1780. His personal and real assets were hidden by family to avoid the consequences of the Confiscation Acts, which then triggered many and lengthy legal battles to settle his estate. 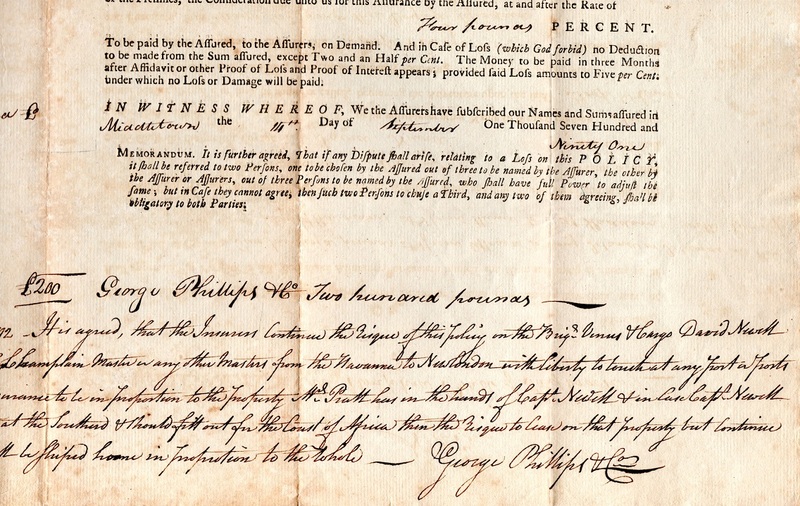 .﻿This item is a wonderful, original document dated 1794, where Esage Cook has sworn a statement, that in 1785, a Mr.Lewes came to him with a bill of sale for two slaves, sold to him by William Ridge, during the Revolutionary War. 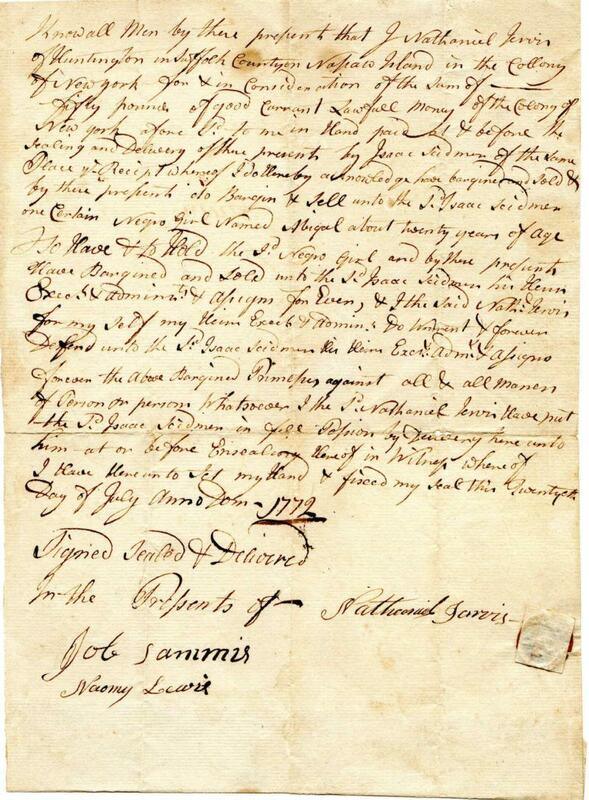 Seems after that there was a mix-up as to actually owned the slaves, but a Mr. Ayres sold them to a Mr. Lewis, which was witnessed by James Martin Lewes, his brother. 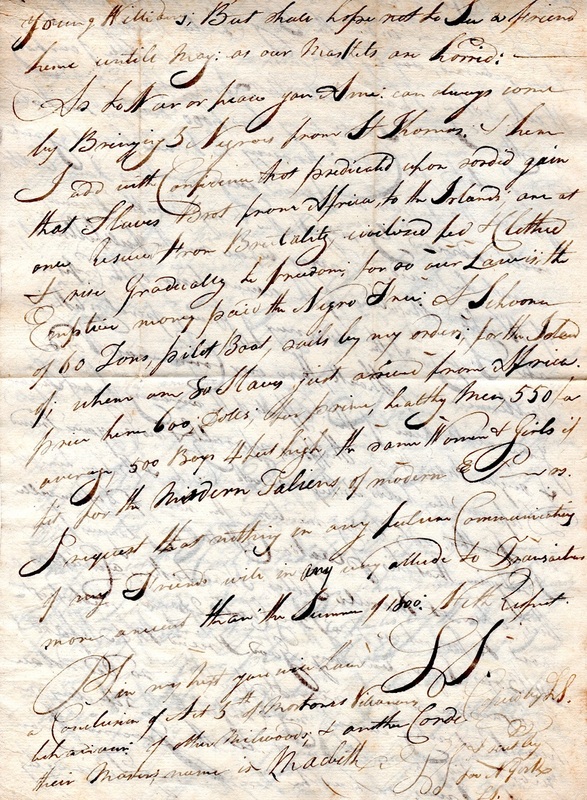 Mr Lewes asked Cook to sign as a witness, which he did, though he always thought the slaves belonged to William Ridge's orphans...signed Esage Cook, William Cook and Obadiah Martin. William Ridge who married Winnefred Combs, daughter of Mason Combs, Sr of Surry County, North Carolina. William died at the battle of The Hanging Rock, South Carolina, in the Loyalist Militia in 1780. His personal and real assets were hidden by family to avoid the consequences of the Confiscation Acts, which then triggered many and lengthy legal battles to settle his estate. 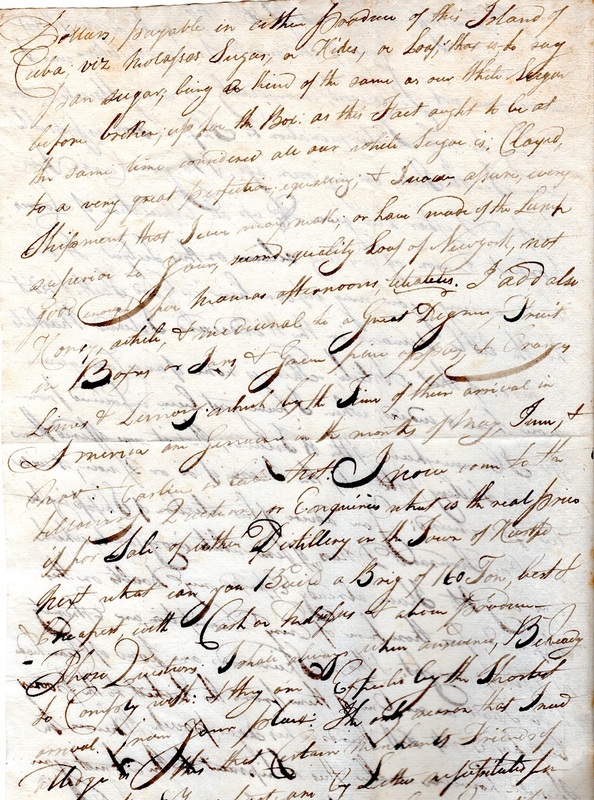 ﻿This item is a wonderful,original letter dated 1801, Havana, Cuba, where Ledyard Seymour, merchant of Connecticut, has written to his brother Henry Seymour at Hartford. 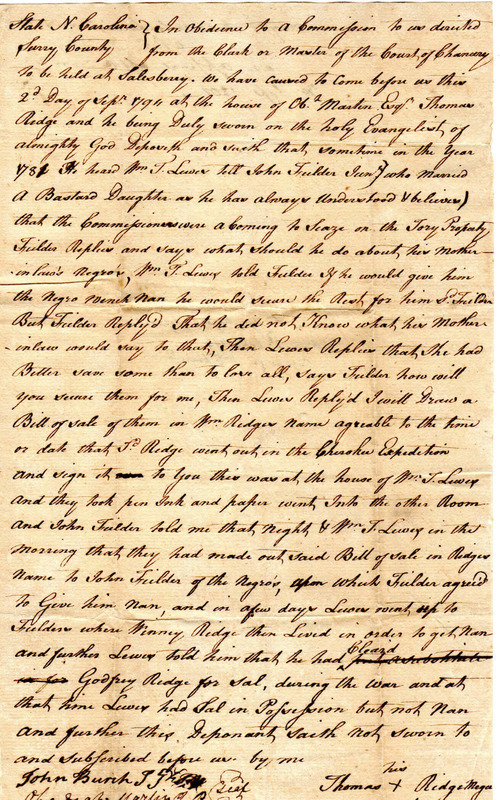 In this letter Seymour writes that he hopes to ship turtle shell soon as possible...shipments of sugar and fruit...but in war or peace you can always bring 5 negroes from St. Thomas...the slaves brought from Africa to the Islands are clothed and fed and eventually work toward freedom...a schooner sails by my orders with 80 slaves from Africa ...prices bring $600 per prime healthy male, $500 per boy over 4 feet...the same for women...signed L(edyard) S(eymour). 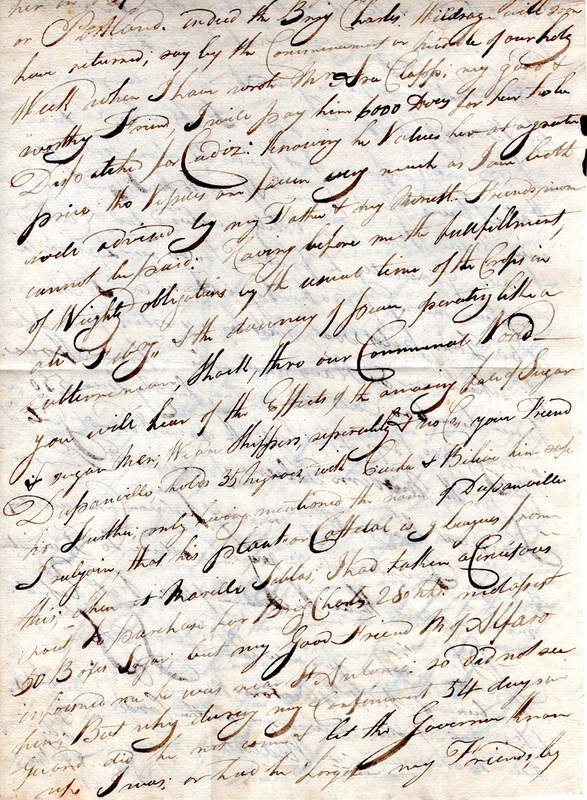 Letter is three pages, double sided,8x14, in overall good condition. Ledyard (Lediard) Seymour (1771–1848) was a native of Hartford, Connecticut. After graduating from Yale College in 1792, he entered the mercantile business in New York with the support of his wife’s family. Losses to British spoliations forced him into bankruptcy by 1797. He removed to Havana in 1800, where he remained for three years before returning to Hartford. In 1805, he wrote Thomas Jefferson seeking a post in “any one of the Spanish Colonies,” but did not receive an appointment﻿. 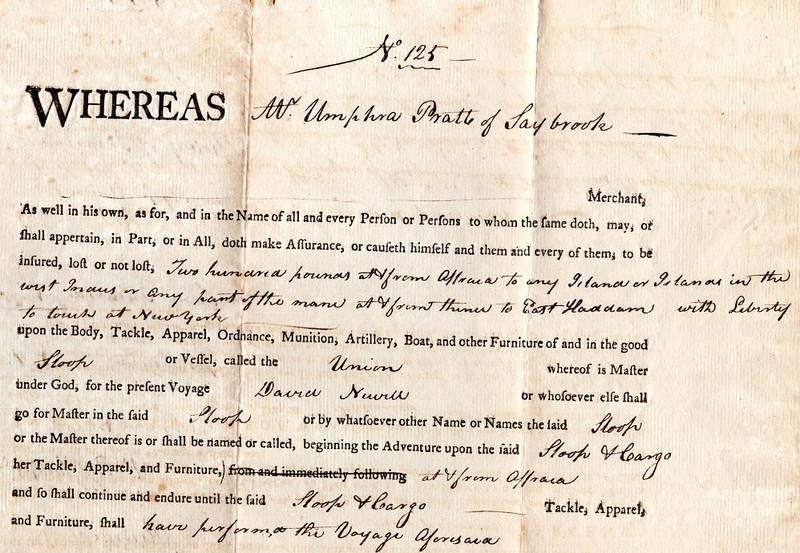 This is a wonderful, original document dated 1791, ship's insurance papers for the Sloop Union to travel to Africa and then to the West Indies with permission to touch New York ( the perfect slave trade triangle)....signed at bottom by George Phillips. Document is 15x18, folds, else in overall very good condition.